This study aimed to find out if an old shoebox and a thick tin foil can be converted to a more useful piece of cooking equipment.The feasibility of reflective solar heated grill that is built from a cardboard box, tin foil, and posterboard as an alternative cooking equipment was studied in this research project. The cardboard box was cut and shaped.the tin foil is settled in the middle making it looks like a slide.we go outside in the heat of the sun. the barbeque sticks were placed in the spot where reflection of the sunlight focuses on the hotdog .just like a real skewer the hotdog were cooked there for minutes.tasted it.and voila.real hotdogs on stick just like mom used to cook. This study thru physics aims to find out if an old shoe carton box can be useful to make an alternative cooking machine. A solar heated grill can be built from a cardboard box, tin foil, and posterboard. Sunlight hits the reflective surface and focuses on the hot dog held in the center. Students can work in pairs or individually if there are enough materials. This is a parabolic cooker we built a while ago, so unfortunately we can't show step by step photos of it's construction. However, it's relatively easy to see how it was put together. This study aims to find out if an old shoe carton box can be useful to make an alternative cooking machine. 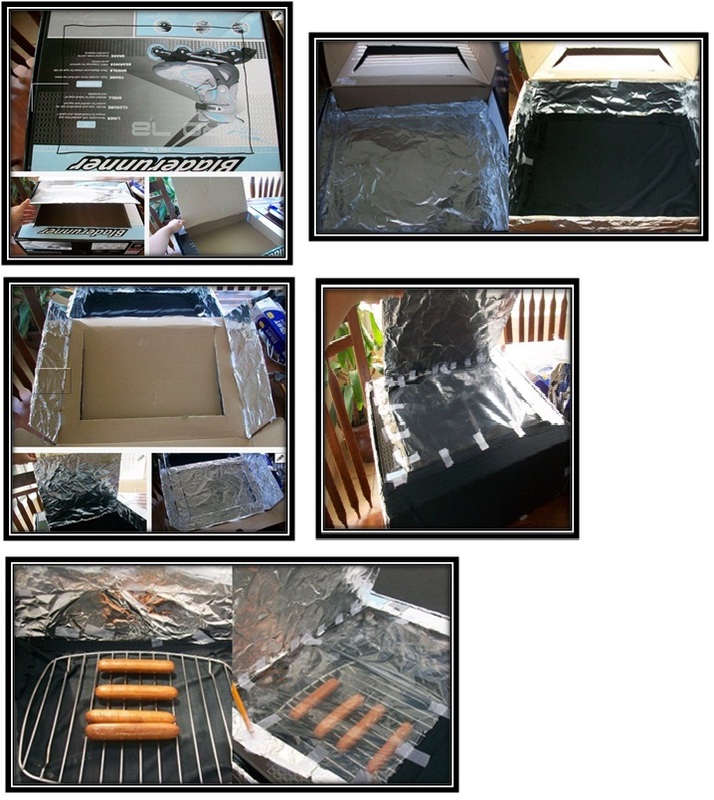 • Serve as an eye-opener for those who don’t have a grill in their backyard who want to convert their old shoe box carton into a hotdog grilling machine. 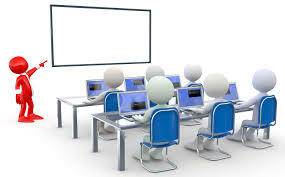 • serve as motivating factor for the schools or institutions to direct their students and to further strengthen their capabilities for developing old carton box into a cooking grill and other processes to maximize the recycling of old carton box. Furthermore, the outcome of the study will provide empirically – based information to policy makers in Ecological recycled Waste Management. (RA 9003) junk cartons are usually stocked or thrown out elsewhere .Converting these non-functional cartons does not only support RA 9003 but it also opens an avenue to develop technology in the community. 1. Two pieces of heavy cardboard (like the side of a cardboard carton). The first piece must be at least ten inches square and the second smaller piece must be at least four inches by five inches. 2. A piece of light posterboard eight inches wide and sixteen inches long. 5. Nine inch long sticks about 1/16 inch in diameter. You may also use lengths of heavy wire. 1. Cut the top flap. Using the permanent marker trace a square over the top of the box, leaving about a one to two inch border. Cut out the box, leaving the back (top) end attached so it becomes a flap.This top flap will become our reflector for the sun light. 2. Line with aluminum and Black construction paper. Line the bottom of the box with aluminum. Use nontoxic tape or glue to secure the foil in place. Take the black cloth or black construction paper and place it over the foil. Secure it with nontoxic tape or glue. 3. Line lid with foil. Line the inside of the lid and reflector with foil. Secure with nontoxic glue or tape. 4. Cover the square hole we cut earlier with the plastic wrap and over the front of the box with the black cloth or construction paper. This helps the box to absorb more heat. Secure with nontoxic tape or glue. 5. Place over in the sun. Place the grillin the sun. Angle the reflector to where the most sunlight is reflected into the box. Tape the pencil to where it holds up the lid in place. Leave the box in the sun for a half an hour to an hour to warm up. It may take a little longer depending on the heat and how clear the sky is in your area. 6. Put in the food. Once it is pretty hot put the food in that you want to cook. In researcher’s case, they choose hotdogs. Let them cook for a couple of hours or until they are a nice golden brown color. Check on them every 15 minutes. This chapter presents the data, analysis and interpretation of findings. It is in this part whereby the data have been sorted out, tabulated, subjected to statistical analysis and then the findings were interpreted. After we had produced the hotdog grill out of recycled old carton box.and grilled the hotdog there thru spotted sunlight reflections on the tin foil. We asked somebody to rate the taste and acceptance of the food. On the basis of the conclusions formulated, the following recommendations are offered for possible further study. 1. Information disseminations to the people on the proper recycling of old and dilapidated Carton boxes and other recycled wastes should be intensified. 2. People should know the values of recycling not only the biodegradable and nonbiodegradable wastes but also for them to do their part to cut down on waste pollution that affects the environment. 3.	carton users should be guided accordingly on how to recycle destroyed shoe cartons rather than to junk them elsewhere, because dumping them elsewhere, will eventually can cause messy surroundings. For them also to help reduce the fire which are fatal to human beings.